Unique wedding invitations, a heart shaped card holding your bespoke invitation, made with white pearlized paper. Your personalised invite is printed in soft lilac foil. This range is coming with plain white pearlised square envelopes. Size: 27 x 24 cm. 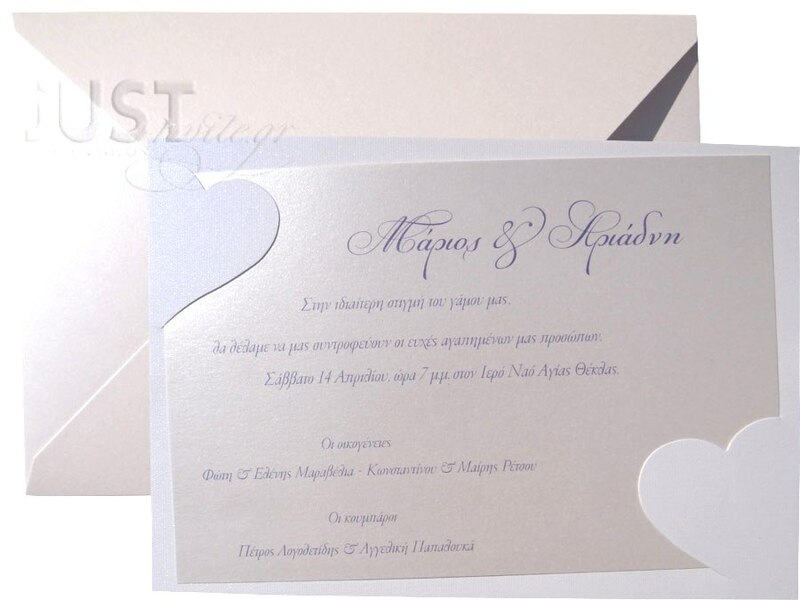 https://www.preciousandpretty.com/2017/10/wedding-invitations-heart-shaped-card-A1115.html Greek Wedding Favors|Orthodox Crowns|Stefana|Baptism Invitations Wedding invitations heart shaped card A1115 Heart shaped wedding invitations, made with white pearlized paper. Product #: Greek Wedding Favors|Orthodox Crowns|Stefana|Baptism Invitations_5959161514372546118 5 stars out of 5 reviews.